The following events are offered both on and off campus. 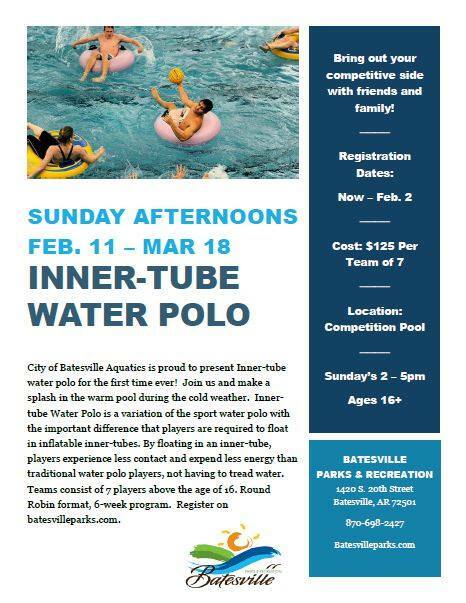 Some events are offered through the Batesville Parks and Recreation Department. Wiffle Ball Tournament 7v7 Men's and Women's Wiffle Ball Tournament. Bubble Soccer Tournament 5v5 Men's and Women's Bubble Soccer Tournament. Flag Football 7v7 Men's and Women's Flag Football League and Tournament. *Student teams for the Batesville Parks and Recreation events will be paid for by the intramural department. Teams that commit to playing and do not show up for games will be charged registration fees to their student accounts.